Winners of ICT Manager of the Year, ICT Project of the Year and Software Developer of the Year named. The winners of this year’s ITEX Computerworld Awards were announced last night at an event attended by ICT industry leaders at Auckland’s Viaduct Events Centre. The ITEX Computerworld Awards provide an opportunity to acknowledge and celebrate the outstanding efforts of people working in the ICT industry. “Computerworld has been celebrating excellence in the use of ICT for more than 13 years, and we are proud to be involved with the awards programme,” says Computerworld editor Sarah Putt. 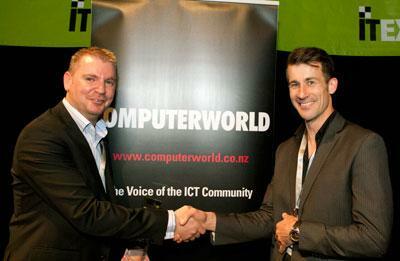 The 2012 ICT Manager of the Year award was taken out by David Scott of Z-Energy. A special recognition award for ICT Manager of the Year was also presented to Kausalia Apparao from Sealord who, in the judges view, has achieved a great deal for someone so early in her career by taking on a leaderless team and transforming it into a motivated, high-output group. 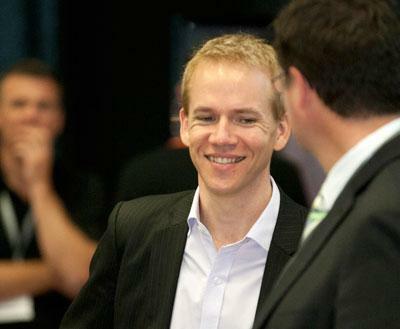 IT Project of the Year was awarded to the New Zealand Transport Agency (NZTA) for its Business Continuity Programme. The NZTA programme of work was brought about by the approaching end-of-life of its current registry systems environment; Motor Vehicle Register, Driver’s Licence Register, Road User Charges System and Inspection System. The project was completed ahead of time, to specified quality, well under budget. The judges were impressed by the project approach taken by NZTA, its very appropriate use of PRINCE2 and governance structures which were in place to ensure project success right from the thorough business case that was prepared. “This project is an exemplar of a government ICT project done very well indeed,” noted the judges. Congratulations go to NZTA for an impressive and complex project that demonstrates excellence in IT. The final award for Software Developer of the Year was won by Keith Patton. Keith is CEO and lead developer for Marker Metro, the first 100 percent Windows Apps agency. “Keith's combination of skills is rare: an aptitude for problem solving and technical ability combined with front-end interface skills and an eye for detail and quality,” said the judges. Marker Metro's Windows Phone game, AlphaJax, was the first New Zealand app to make it through the very stringent Xbox LIVE process and the company is also a core contributor to the open source software framework, Caliburn Micro. “What really set Keith apart was his absolute passion for software development aligned with capability and very strong ethical values,” the judges said.